It looks like years of vacillation between struggling for formation of independent state of Oromia and searching for equality within a democratized dying Ethiopian empire has come to an end at least for one of the OLF factions. The map shown below comes from oromoliberationfront.info - the web site of the OLF faction better known as QC or Transitional Authority. I say it is about time and a big present to the Oromo nation on the eve of April 15, 2014 Oromo Martyr's day - Guyyaa Goototaa in Afaan Oromoo. Oromiyaa - Biyya Abbaa Kiyya! Will we see if the same map will appear on oromoliberationfront.org - the web site for Shanee OLF. Would Shanee approve of this map in the first place? Only time will tell! 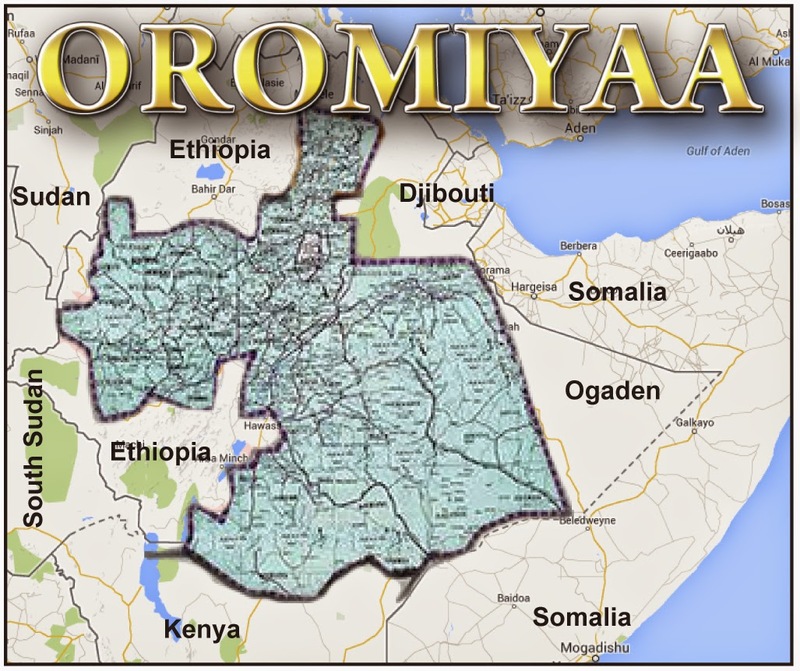 However, if they don’t agree on a map of Oromia, it is unclear how the two factions can conclude their never ending reconciliation that they say has been going on for the last many years. Happy Guyyaa Goototaa Oromoo to all my nationalist brethren.